You're a self confessed sweet-tooth. It's 4pm and you're craving a sugar hit. Where do you go? What do you do? If you're in the Preston area, you head to The Cramers Hotel. That's right, Cramers has a cake selection to die for. Stay long enough and you may be eligible to go on the Biggest Loser. About a week ago, I found myself in a sugar craving frenzy. 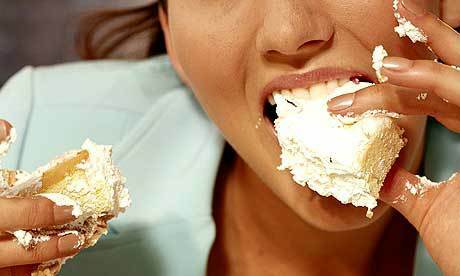 My blood sugar level was at an all-time low and if I didn't get my sweetie-hit soon, I was going to sprawl out on the footpath like a pussycat sprawls out on a windowsill. I was like a vampire looking for blood. I cruised along High Street Preston, my mouth salivating as I walked past bakeries. I finally headed into Cramers and practised my Olympic-style speed-walking to their cake cabinet. After a couple of minutes negotiating with my tastebuds, we finally agreed on a piece of Baileys cheesecake and a coffee for the bargain price of $6. It arrived promptly, smothered in zig zags of chocolate sauce and a sprinkling of cocoa. The cheesecake had a tasty dark chocolate biscuit base, with a white and milk chocolate covering. 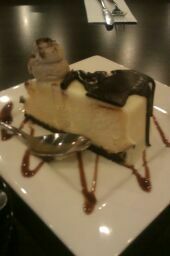 The cheesecake made my tastebuds rejoice, talk about having a party in your mouth. It's creamy light texture with a hint of baileys was absolute perfection. For your next sugar-craving episode. Head to Cramers Hotel for your fix. They have a selection of cakes and sweets for all tastes. Calorie-loaded Heaven. Image by Vanessa de Largie.